Sonam Kapoor is a "fashion queen", says fashion designer Anupamaa Dayal, who has contributed to one of Sonam's looks in 'Dolly Ki Doli'. Have you seen these photos of Sara Ali Khan, Esha Deol and Ayan Mukerji? Sonam Kapoor is a “fashion queen”, says fashion designer Anupamaa Dayal, who has contributed to one of Sonam’s looks in ‘Dolly Ki Doli’. Fashion designer Anupamaa Dayal, known for her kitschy creations, has contributed to one of Sonam Kapoor‘s looks in the film ‘Dolly Ki Doli‘. She says the Bollywood actress is a “fashion queen”. For one scene, Sonam Kapoor has donned a heavily embroidered short kurta, designed by Dayal. 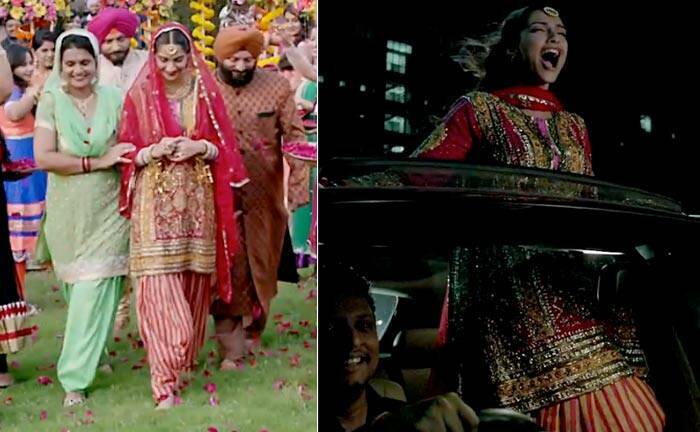 ‘Dolly Ki Doli’, releasing Jan 23, will feature Sonam in an outspoken and fun-loving avatar. The film stars Sonam Kapoor in the title role and also features Pulkit Samrat, Rajkummar Rao and Varun Sharma. 2 Amitabh Bachchan to play Sunil Dutt in Sanjay Dutt's biopic?